Here are ten of the best recumbent exercise bikes you can get for home use at a reasonable price. I’ve shared some tips on choosing the right stationary recumbent bicycle for your needs, and provided my thoughts and recommendations on ten of the best recumbent style exercise bicycles to choose from. Recumbent style exercise bicycle differ from traditional exercise bikes in a few key ways. Recumbent bicycles offer a great cardio exercise just like all stationary bikes, with many of the same benefits. The biggest difference between traditional stationary bikes and recumbent style exercise bicycles is that recumbent bikes put riders at a more reclined angle. This laid back riding angle can be a lot more comfortable, especially for individuals without a lot of cycling experience. If you can imagine working out from your recliner, that’s what a good recumbent bike feels like once you learn how to use this unique piece of equipment. 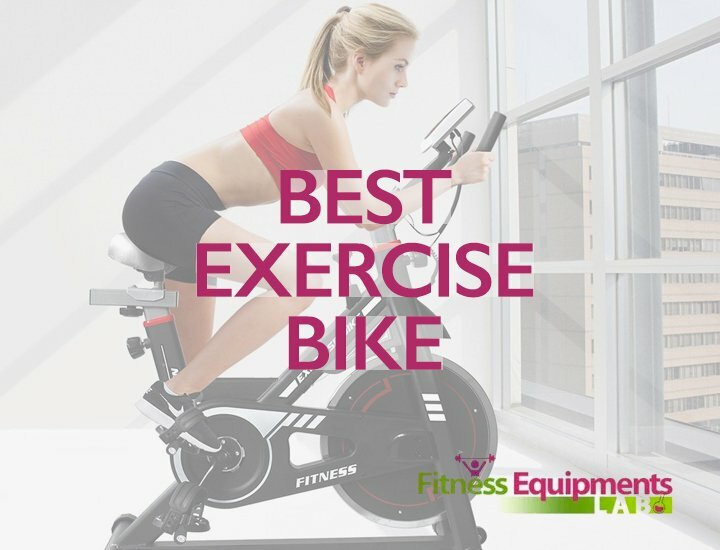 Below are some ideas for how to find the perfect recumbent bike for your needs, as well as my reviews often recommended recumbent bicycles. No matter your skill level or budget, there’s a recumbent bike on my list that could be perfect for you. Depending on your needs, there are a lot of different factors to keep in mind when shopping for a recumbent exercise bicycle. There are a ton of models on the market, and finding the perfect bike for you can hard. Keep these considerations in mind to pick the best recumbent bike for your needs. If you are an exercise enthusiasts, it’s probably worth it to spend a little more in order to get a great recumbent bike that will last you years. If you haven’t bought much exercise for your home gym in the past, a less expensive recumbent bike can be a great entry level cardio machine. There are great recumbent bicycles at every price point, but the more you spend, the better quality equipment you will get. While this is always true, it’s especially accurate when talking about recumbent bikes. One of the best things about recumbent bicycles is that their seats are much more comfortable for most riders. Recumbent bikes offer the luxury of sitting in a comfortable chair while exercising the heart and lungs. But that’s only true if you pick a recumbent bike with the right seat design for you. For the most comfortable ride, look for a bike that provides optimal back support. A seat that is comfortable for your upper body means that you won’t develop back fatigue, which can be one of the most uncomfortable aspects of riding. Those sound like four separate considerations, but really they all are tied to one feature of your recumbent bicycle. The “cockpit” or display area of your recumbent bike should contain options to adjust programming, choose features, and monitor your progress. The more the are willing to spend, the more premium programming features you can expect from your recumbent style exercise bike. Special features like personalized riding routines are included in some recumbent bikes. Look for a model that has all of the features you want, and a good console system to display functions. Recumbent bicycles are very safe as far as exercise equipment is concerned, but there’s always a small chance of injury. Most injuries that do occur on recumbent bikes are a result of a loss of stability that ends in tipping, so it’s important to find a bike with a stable design if you are concerned about the potential risks of recumbent bicycling. Bikes with lower and more reclined seats are often comfortable, but sacrifice stability as a result of geometry. For the most stable ride, look for a bike that positions your center of gravity squarely over the middle of the equipment. Look for special stability features like extra legs and base weights as well if you are concerned about safety. As mentioned above, there are a many recumbent exercise bicycles out there, and a lot to keep in mind to make the right choice for your needs. 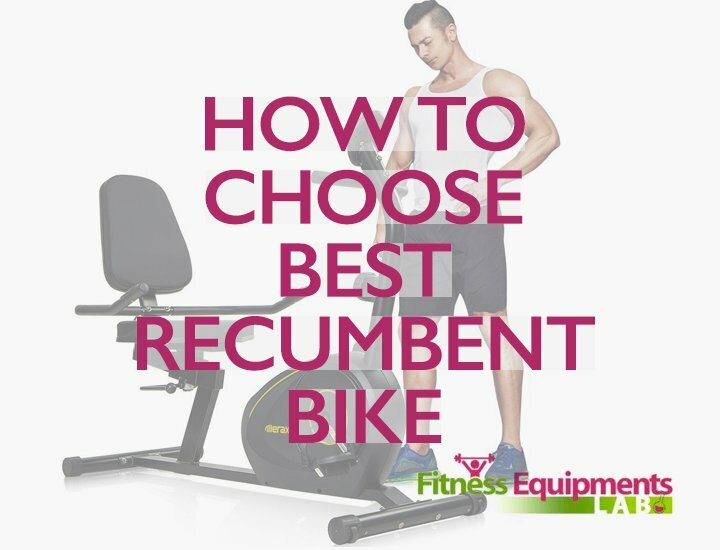 In addition to the considerations above, you should keep factors like brand, resistance, style, color, size, weight, warranty, and others in mind when you are choosing a recumbent bike to meet your needs. Start by checking my ten recommended recumbent bikes below, starting with my review of my number one choice, the Schwinn A20 Recumbent Bike. Schwinn is one of the most trusted names in cycling history, and their A20 Recumbent Bike lives up to the company’s legacy by providing a great quality overall bike at a great price. Here are the features that made this my number one pick. The A20 Recumbent Bike comes with a very high-quality magnetic resistance system, which is designed to provide multi-level resistance. By choosing between eight resistance levels, riders can push themselves and find the right riding difficulty level. Plus, the resistance levels mimic the changing gears of a real bike. Being able to monitor your heart rate accurately can help you find the perfect workout intensity for your needs and skill level. Luckily for users that want to take their exercise seriously, the A20 Recumbent Bike has some very accurate heart rate monitoring equipment to make hitting the right workout intensity easy. The A20 Recumbent Bike isn’t packed with premium features, but the console does provide a lot of great control over your exercise experience. Additionally, all of the display information is transmitted with clear, high-quality LCD lighting. If you are looking for a comfortable ride optimally designed to provide the most relaxed riding experience, the Exerpeutic 4000 Magnetic Recumbent Bike may be the perfect choice. Here are some of this model’s coolest features. 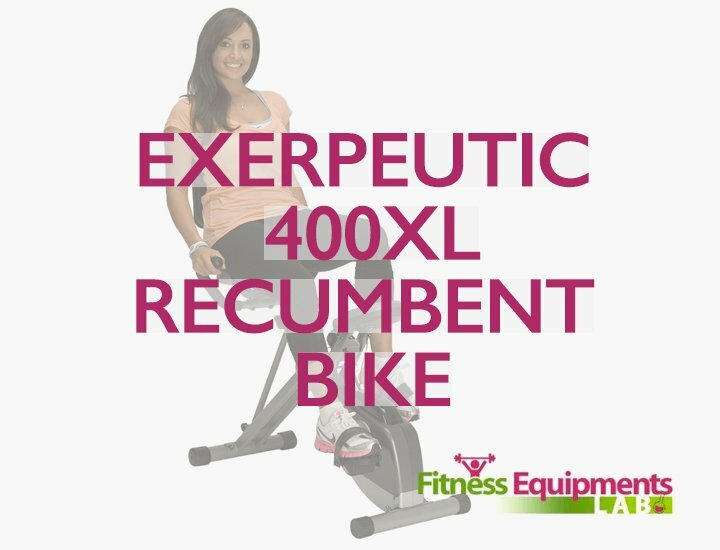 The Exerpeutic 4000 Magnetic Recumbent Bike has a great workout computer to help you get the most out of your training. It can be programmed with up to twelve custom routines, so you can decide how intensely you want to work and how you want to change things up. The patented Air Soft seat that equips the Exerpeutic 4000 Magnetic Recumbent Bike is supremely comfortable, and provides a very relaxing ride. This seat is specifically designed with ultimate breathability. In addition to providing support, the Exerpeutic 4000 Magnetic Recumbent Bike’s seat won’t absorb too much sweat or chafe your skin while riding. The Exerpeutic 4000 Magnetic Recumbent Bike is rated as safe for individuals weighing up to 325 pounds, a fairly large weight capacity for commercially available exercise equipment. This feat is possible thanks to a straightforward but solid base design combined with great geometric positioning that keeps riders over the center of the bike effortlessly. 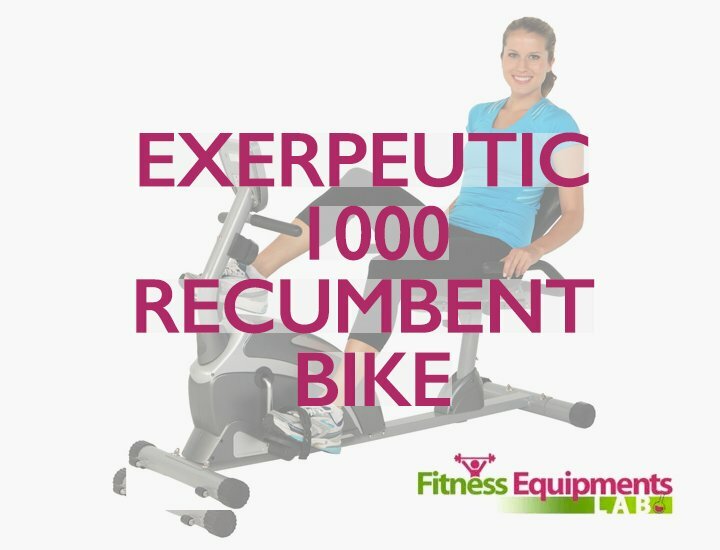 The Exerpeutic 900XL is one of the best deals you can find for a recumbent bike, providing a lot of quality features for its surprisingly affordable price tag. Here are some of the reasons why I love this budget choice and recommend it strongly. The Exerpeutic 900XL may have a budget price tag, but that doesn’t mean it isn’t built to last with some quality craftsmanship that stands up to heavy use. 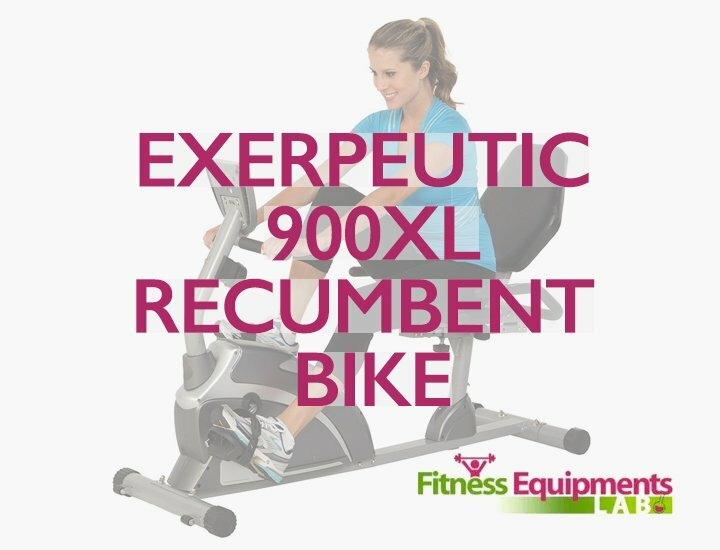 All of the materials and elements of construction of the Exerpeutic 900XL feel high-quality, and the manufacturer offers a three-year warranty to stand behind their confidence. The seat position on the Exerpeutic 900XL is much more reclined than some of the other options on this list, which can lead to a comfortable riding experience for some. Especially if you have knee, ankle, or other joint pain, this ultra-reclined positioning can be a great way to prevent injury while getting in a good workout. If you want to be able to grow over time and keep finding good riding intensities to challenge yourself, the eight resistance settings of the Exerpeutic 900XL will help you have the choices you need. Another entry on this list from the legendary Schwinn, the Schwinn 230 Recumbent Bike offers premium features for middle of the road prices. Here are some of the things about this recumbent that make me love it. 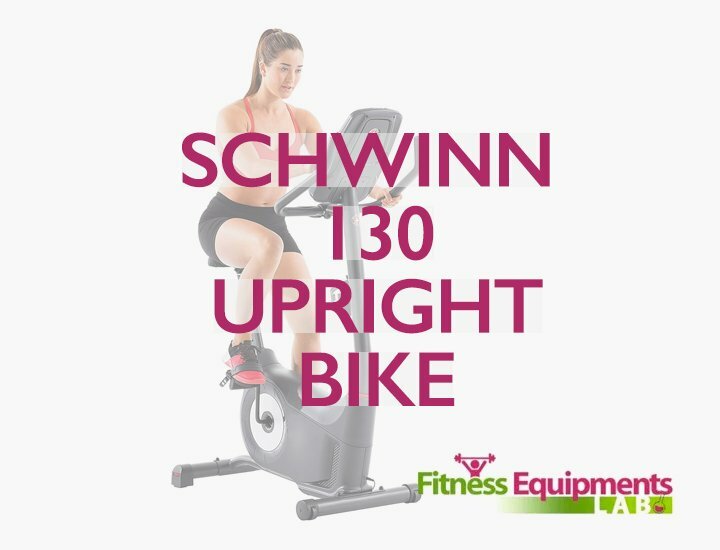 Compared to many entries on this list which come equipped with a standard eight or so resistance levels, the Schwinn 230 Recumbent Bike has twenty different resistance settings to choose from. This wide variety of choices can help you build your own perfect routines, and make sure that you always have the perfect resistance level for your own optimal growth. 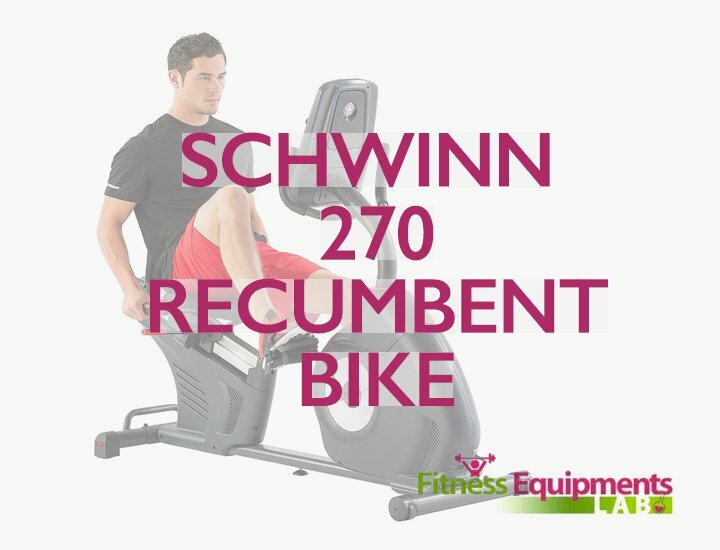 The Schwinn 230 Recumbent Bike is compatible with “Schwinn Connect,” a great piece of fitness software that helps you keep track of all of your exercise goals. With Schwinn Connect, your recumbent bicycle can sync up exercise data with your phone quickly and easily, and provide some direct feedback on training goals. USB ports built right into your recumbent exercise bike may not sound like a big deal, but it makes it very easy to keep track of your training and exercise data with “Schwinn Connect.” Plus, you can use USB ports to charge your electronics while getting a workout. Another great budget choice with a lot of useful functions, the Stamina 1350 Magnetic Resistance Recumbent Bike is a great addition to any budding home workout area. Here are some of this reasonably priced bike’s best features. An adjustable seat may not sound like the most important feature, but if you have a back injury, finding the perfect angle to support your spine and prevent injury is crucial. The Stamina 1350 Magnetic Resistance Recumbent Bike has a seat which is easily adjustable, making it possible for riders with back issues to find the right fit for their injury history. 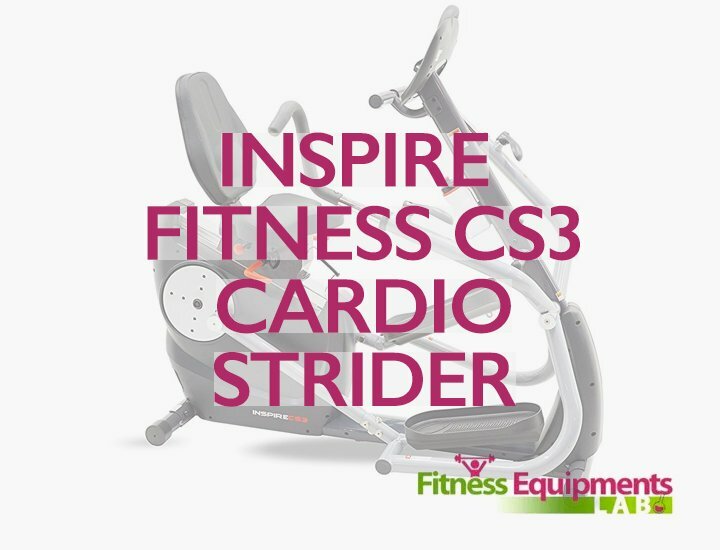 The magnetic resistance system in the Stamina 1350 Magnetic Resistance Recumbent Bike helps assure that every ride is smooth. It can also be easily adjusted with a dial to increase or decrease resistance levels and therefore riding difficulty. Some higher end recumbent bicycles have console panels cluttered by too many buttons and program choices. But the Stamina 1350 Magnetic Resistance Recumbent Bike keeps its display simple with direct, easy to read, and easy to operate LCD lights. With this simple design, you can quickly change between display functions with a single button push. If you need a more compact style Recumbent bike to fit a tight exercise space in your house, there’s no better option than the ProGear 190. This space saving small sized recumbent is very convenient, with some great features that make it a smart buy. The ProGear 190 Compact Space Saver Recumbent Bike looks a bit small, but that’s because it is specifically designed to use as little space as possible to provide a high-quality cardio workout. This smaller bike can fit in any corner of your living room or bedroom and still be usable. Plus, it can fold even smaller for easy storage if you don’t have a dedicated workout equipment area in your living space. For its size, the ProGear 190 Compact Space Saver Recumbent Bike is designed for optimal stability. It is rated for safe use by adults up to 275 pounds, and provides a sturdy workout experience despite its small size and foldable structure. Since it isn’t as large or sturdy as some of the other choices on this list, ProGear made an extra safety precaution with wide based pedals. The pedal style on the ProGear 190 Compact Space Saver Recumbent Bike includes a safety strap, and keeps your feet safely for a stable riding experience. 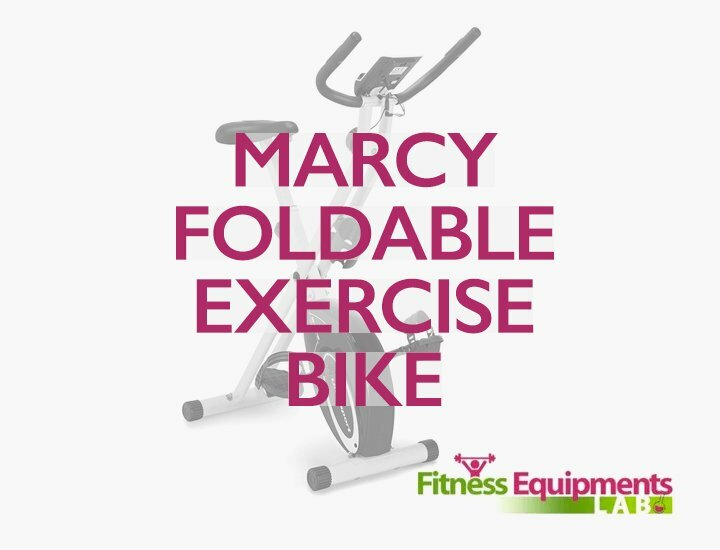 The Exerpeutic Folding Magnetic Upright Bike with Pulse is another great option for individuals without too much floor space for exercise equipment. Here are some of my favorite features of this recumbent bicycle model. The Exerpeutic Folding Magnetic Upright Bike with Pulse is designed with an easily folded frame, making it a perfect pick if you don’t have much room in your home. This recumbent can be easily folded and rolled into any tight corner or closet, meaning that you will only need to find a place to set it up when you are ready to get your heart rate up. The wide seating cushion on the Exerpeutic Folding Magnetic Upright Bike with Pulse is great for individuals with sensitive seating needs. Especially if you experience soreness in your hamstrings or hips after riding, a wider seat can be a great comfort factor that can make your workout experience much more enjoyable. The Exerpeutic Folding Magnetic Upright Bike has a great piece of heart rate monitoring hardware in the “Pulse” system. You can easily check your heart rate and make sure that your workout intensity is appropriate. If you are looking for another entry level, budget priced recumbent option, the Velocity Exercise CHB-R2101 Magnetic Recumbent Bike is a great choice with some features that make it stand out. Here’s why it made my list. The display console on the CHB-R2101 Magnetic Recumbent Bike is large and easy to read, making it a great choice for those who don’t want to struggle to make out exercise data. The display includes information on time, speed, calories burnt, and other important training metrics. While the CHB-R2101 Magnetic Recumbent Bike doesn’t fold up completely, it is easy to roll away and store. Thanks to built in-wheels, the CHB-R2101 Magnetic Recumbent Bike can be easily moved off of your floor space and tucked away in a more convenient location. The CHB-R2101 Magnetic Recumbent Bike has eight resistance settings, and the resistance system helps contribute to a smooth and even ride. This smooth ride mechanic simulates cruising on a road bicycle outside, which is a pleasant experience that can make riding your recumbent bicycle a lot more enjoyable. Designed with stability as a primary concern, the Exerpeutic 2000 High Capacity Programmable Magnetic Recumbent Bike is a solid choice for users of all skill levels. Here are the factors that make this a piece of equipment worth investing in. The Exerpeutic 2000 High Capacity Programmable Magnetic Recumbent Bike comes preloaded with six preset workout routines designed to help you find the perfect pace and intensity for your fitness needs. Preset routines change up intensity to increase your heart rate, vary your training, and keep workouts fun. The seat of the Exerpeutic 2000 High Capacity Programmable Magnetic Recumbent Bike is made of thick and forgiving foam, making it a very comfortable riding experience for users of all skill levels. The Exerpeutic 2000 High Capacity Programmable Magnetic Recumbent Bike supports rider weights up to 300 pounds safely, making it a great choice for riders concerned with stability. The wide base and solid construction is very sturdy. This makes the Exerpeutic 2000 High Capacity Programmable Magnetic Recumbent Bike a safe ride for any rider. 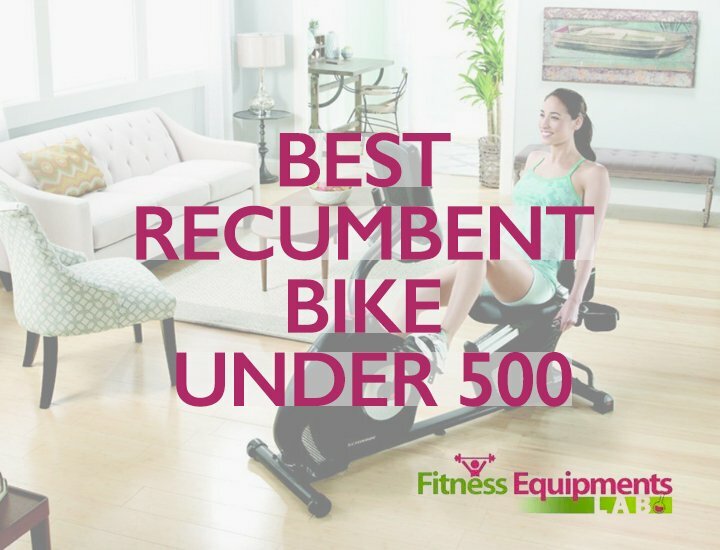 As is true of every recumbent bicycle option on this list, you get what you pay for, and the Nautilus R614 Recumbent Bike carries a slightly higher price tag than some other models on this list to deliver some high-quality features. Here’s a look. 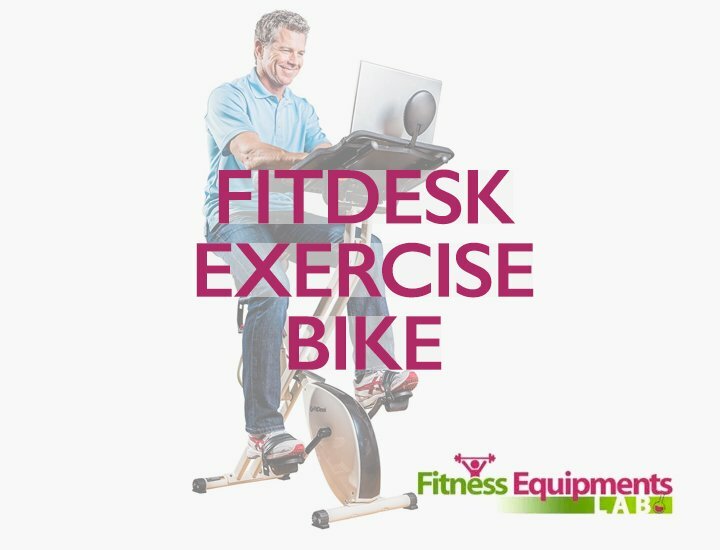 The Nautilus R614 Recumbent Bike is equipped with two USB ports, which you can use to connect your mobile device to this piece of equipment. You can use USB ports to charge your electronics, or to sync exercise data with popular fitness apps like MyFitnessPal. The display console of the Nautilus R614 Recumbent Bike has a lot of room for displaying exercise data, thanks to its dual LCD displays. These large displays can share information on thirteen different exercise related metrics. Plus, with two high power LCD displays, you won’t have any trouble reading all of your data while you are working out. This recumbent comes with 22 programs, 20 resistance levels, and a lot of customizability options to make your training experience perfect. If you are purchasing the Nautilus R614 Recumbent Bike for a large household, have no fear. 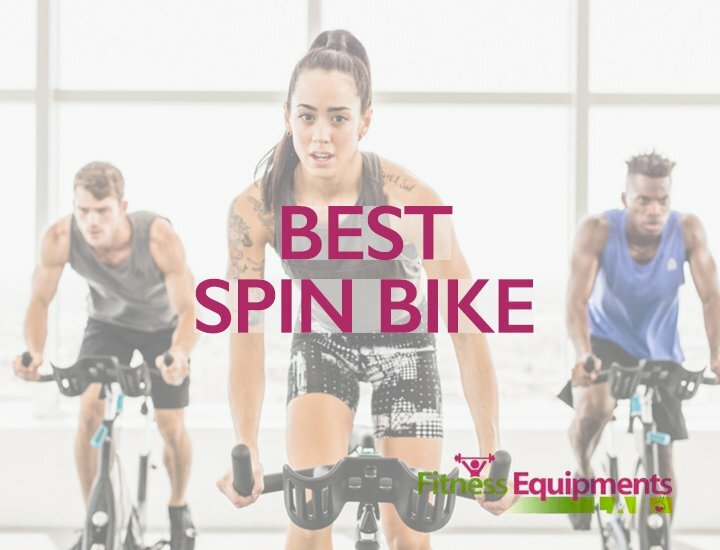 This bike has multiple user profiles, so you can save all of your exercise information and set your own customization settings without worrying about impacting the workout experience of others. If you are looking for a well-rounded, indoor cardio activity, riding a recumbent exercise bicycle is one of the best options you have. Recumbent bikes are reasonably priced, with some powerful benefits that make them a great choice for exercise enthusiasts of all skill and ability levels. The low-impact nature of the exercise is great for those with injuries and seniors who want to prevent injury strain. If you are ready to purchase a recumbent bike for your home training needs, start by looking over the ten choices I’ve recommended above. Each was picked based on its value, and each offers some great features at a great price. 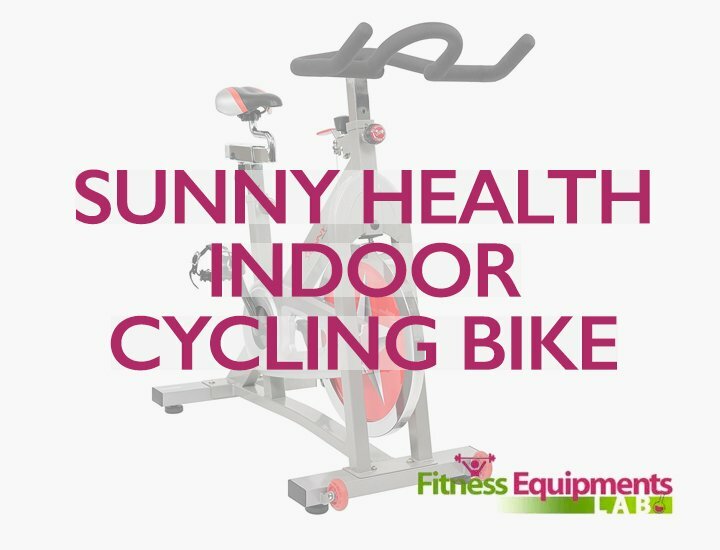 Pick the recumbent bike that is right for your needs, and enjoy your comfortable indoor riding!